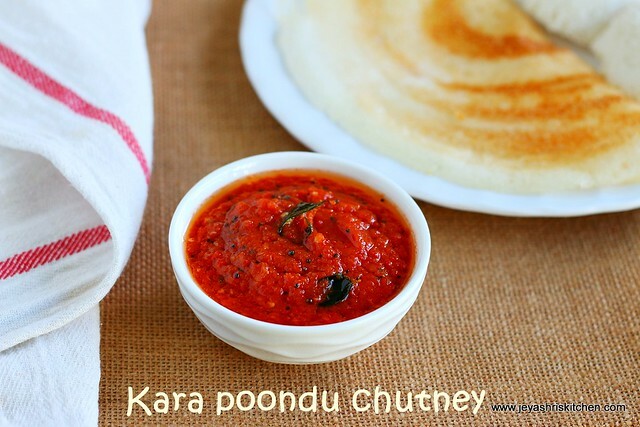 Kara poondu chutney, is a side dish for idli | dosa, made with few easily available ingredients. 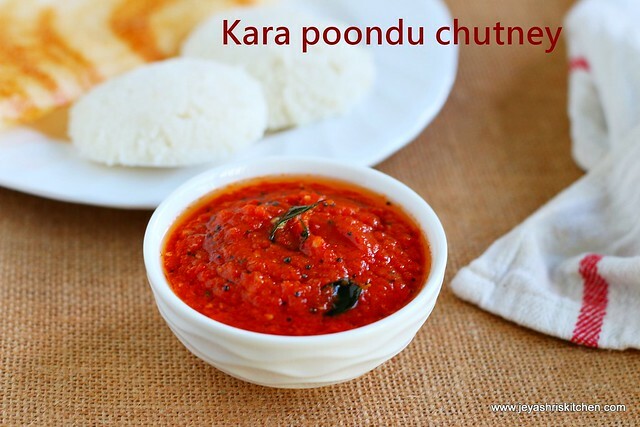 I have already posted a garlic chutney, this kara poondu chutney, is also similar to that. 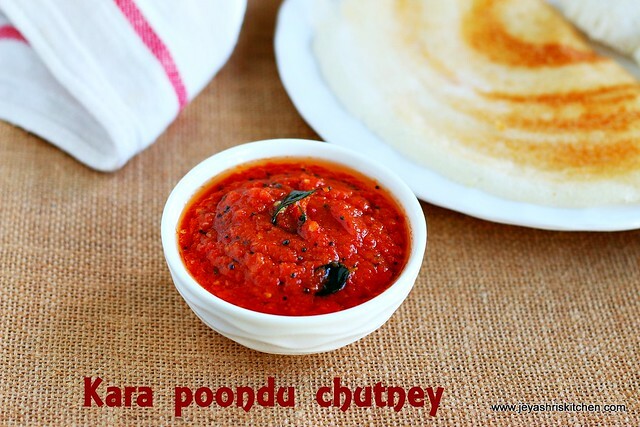 I was introduced to this chutney by a friend few days back, and i immediately tried it at home. 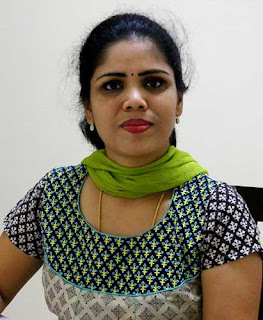 It tasted very good with idli and dosa. 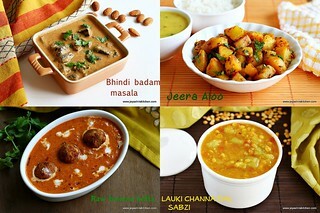 Check out my collection of side dish for idli and dosa. Peel the skin of the garlic and chop the tomatoes roughly. Grind garlic, tomato and red chili together along with salt, into a fine paste. 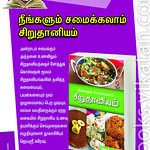 Add sesame oil in a pan and add the mustard seeds and curry leaves. When the mustard seeds splutter, add this to the chutney. Chutney is ready. 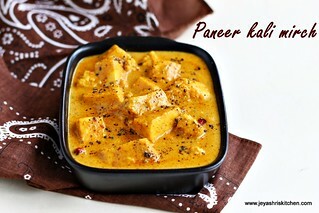 Serve this with idli, dosa and also it went well with parathas too. Since we are adding 2 tomatoes, do not reduce the quantity of red chili. The chutney will leave a pungent raw smell of garlic on your mouth for some time but for that you can take some mouth fresheners for that. 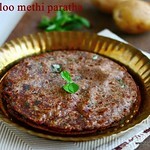 The taste of the chutney will make you eat extra idli and dosa, so ignore the smell. Adding sesame oil is the most important one, so don't compromise on the quantity. If you want you can roast the garlic, red chili and tomato and grind too. 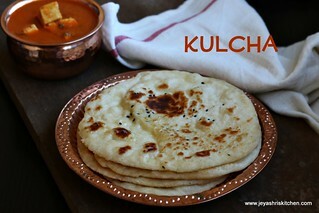 Tried this last week, it was too good with idli. Everyone liked it very much. 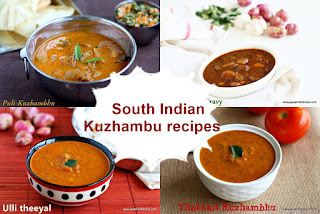 Will this go well with millets dosai, kambu dosai? 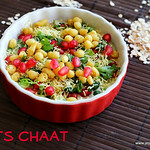 Hi... am ur fan of choosing recipes from ur blog. 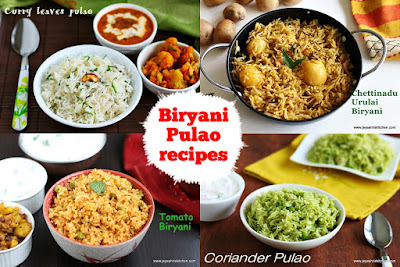 Such a massive list... hats off to u.. thanks for sharing all of your recipes.